Wordpress: Content Management or Major Security Vulnerability? | SPARKS! You are here: Home / Launchpad / Wordpress: Content Management or Major Security Vulnerability? 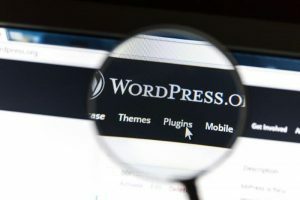 WordPress: Content Management or Major Security Vulnerability? Now powering over 27% of the world’s websites serving over 400 million users monthly¹, WordPress has certainly established itself as one of the web’s top applications. One of the reasons is that, as an “open-source” software platform, it is largely built by a collaborative developer community from around the world contributing to the easy-to-use content management system (CMS) enhanced by hundreds of convenient add-on functionalities and tools (plugins). Perhaps, that is also the reason why WordPress could become one of the biggest threats to our privacy, security and maybe even the internet itself. Essentially, “Open Source” software is not proprietary nor restricted and anyone can access the code that makes it run. With knowledge of the “engine” behind a program or application, developers can improve and expand its capabilities and performance. That is good and benefits us all. Similarly, those with more sinister intentions can find and exploit vulnerabilities. That is bad but can be defended against. There are many tools available to minimize the potential risks, and reputable web developers (like SPARKS!) employ them to safeguard WordPress sites and protect our clients and their visitors. One of the most popular plugins, Wordfence, blocks millions of malicious attempts every day from all over the world. That also gives them insight into the sources, reasons, and methods used in hack attempts, from which they can refine and update their protection measures. But, it will likely be a continuous game of cat and mouse. All in all, WordPress is an outstanding platform and offers great flexibility and scalability in serving the needs of businesses, news outlets, retailers and bloggers alike. But, like homes, cars, banks and everything else these days, a security system is needed to protect what’s inside. Did Russia Use WordPress In Election Hack?